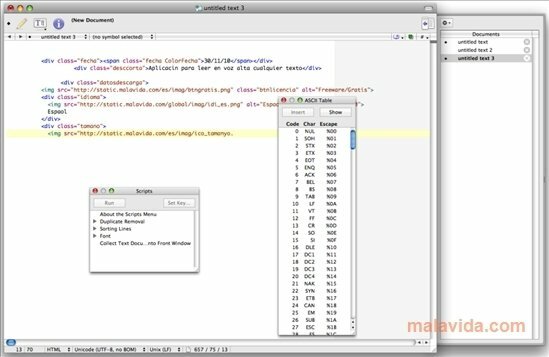 TextWrangler is a text editor that is specially focused on being used as a programing tool, due to the languages it's compatible with and the functions that it includes, that simplify the search and typing of code. The appearance of this application is very gray, and the interface has very few menus or tools, something that can be great to be able to write in an environment that is as clear as possible. The program has a tool that allows you to compare files and to find the differences between them, shortcuts to several different scripts and a function with which you'll be able to quickly search and replace fragments of text. Discover one of the most versatile text editors for programing, by downloading and installing TextWrangler.